Does Harry Potter Practice Wicca? Question: How Wiccan is Harry Potter? I really love the "Harry Potter" books and movies. Do the characters in the series practice Wicca? JK Rowling is a phenomenal storyteller, and she's come up with some pretty creative spell workings for the students of Hogwarts. However, magic consists of more than just pointing a wand and rattling off some Latin phrases. 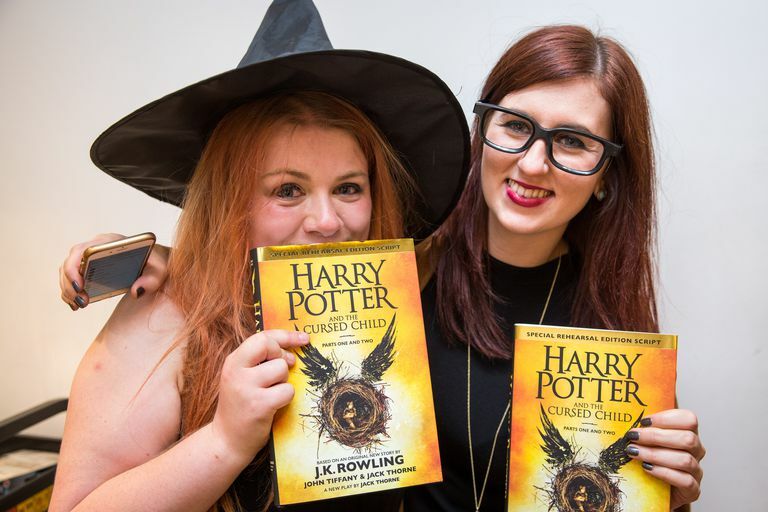 Harry Potter is a work of fiction -- and the magic used in the books is fictional too. However, Rowling definitely did a lot of homework before writing the multi-book series about the boy wizard. Much of what she included in her world-building is based on actual myths, legends, and early occult writings. July 31, 2016, which was Harry's 36th birthday, for those of you keeping track, was the release date for Harry Potter and the Cursed Child. This eighth book about Harry's adventures is actually a script book from the London stage play of the same name, and fans around the world gathered in bookstores for midnight release parties. Like the other books in the series, Cursed Child draws on the mythology and legends of the past. Many of the subjects studied by the students at Hogwarts is material that's useful to any student of magic -- planetary correspondences, the history of magic, potions, spells, divination, charms, alchemy and herbalism. The books also include reference to real people, like Nicholas Flamel in Sorcerer's Stone, and famous mythological creatures, such as hippogriffs and basilisks. When the books were first published, there were certainly howls of indignation from some of the more evangelical groups in the United States. After all, if impressionable children read these tales, what if they turned to Wicca and other scary adult practices? Interestingly, in a 2014 Twitter conversation, Rowling cleared this all up, when she revealed that Wicca is the only religion not practiced at Hogwarts. In Harry Potter's world, magic exists as a natural science. For many modern Pagans and Wiccans, magic IS a very natural thing -- it's rooted in the natural world. Furthermore, most Wiccans and Pagans agree that some degree of training and study is required to be an effective spellcrafter -- just like in Rowling's books. For Wiccans and other Pagans, magic is generally defined as bringing about change in the universe by the manipulation of energy. Magic has limits, in that it won't go against the laws of physics or science. However, it's important to remember that Harry Potter is make-believe. It's fiction. Harry and his friends aren't Wiccans or neoPagans or anything else, they're simply students in a magnificent fictional school of Rowling's creation. Could you take one of Rowling's spells and turn it into a "real spell"? It's entirely possible you could give it a shot -- but it would involve a lot of conversion to make it work. In fact, it would take as much effort as creating a spell from scratch. If nothing else, the series is a fun read, and has done something that most books haven't -- it's reminded kids that you CAN believe in magic. Entire generations have been taught that it's all make-believe nonsense, and by presenting it in an almost academic way, JK Rowling has managed to open up imaginations again.